Is your home or business’s air conditioning system struggling or failing to keep pace with the heat of summertime? Do you want to install a brand new air conditioning system to lower your utility bills? Or, do you simply need a trained, experienced professional to inspect your system regularly to ensure optimal functioning? Regardless of your needs, Homeplace Heating & Air provides comprehensive, personalized air conditioning services for residential and commercial customers in the Cary area. Choose us at Homeplace Heating & Air for professional, personalized service. We are capable of delivering expertise and consistency you will not find from any other air conditioning servicing company in the area. If your system requires multiple service trips, you will always have the same technician on the job, which enables us to benefit from prior experience with your system and to build a relationship with you, our customer. 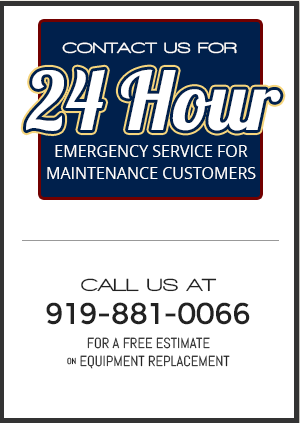 Call us today at 919-881-0066 for a free estimate and let Homeplace Heating & Air handle all of your air conditioning servicing, maintenance, and installation needs.